The main pool at Beaches Turks & Caicos is located in the Italian Village. There are six pools at the resort. 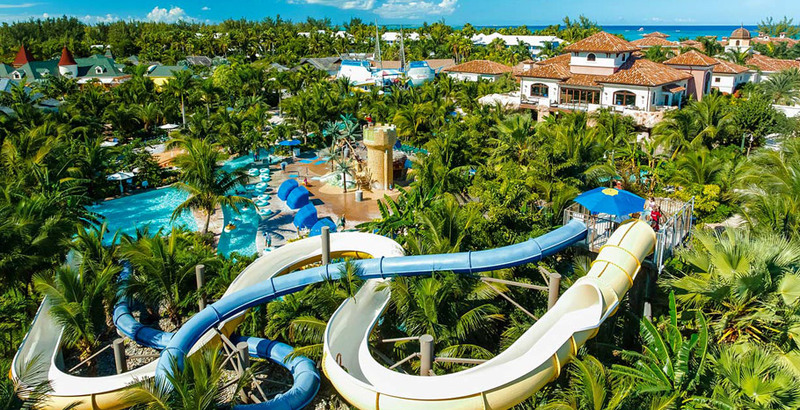 Beaches Turks & Caicos is a family resort with plenty to keep the kiddies busy, including a huge water park and visits from Sesame Street® characters. 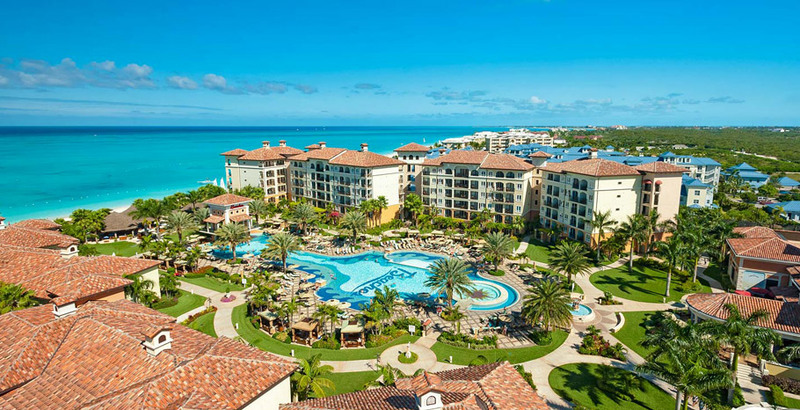 Beaches Turks & Caicos Resort Villages & Spa is a sprawling, all-inclusive resort on Grace Bay in the Turks & Caicos islands. The resort is geared towards families, with a huge water park, events featuring Sesame Street® characters, an Xbox Play Lounge, and a teen disco. Beaches Turks & Caicos is made up of four villages with distinct vibes – the Caribbean Village, the Italian Village, the Key West Village, and the French Village. Each village has its own set of pools, although the main pool and water park are located in the Italian Village. The Key West Village is the newest. Added in 2014, it’s comprised of suites and villas, plus three specialty restaurants. Beachfront villa with private pool in the new Key West village. The resort has nineteen restaurants and twelve bars, all included with your stay. 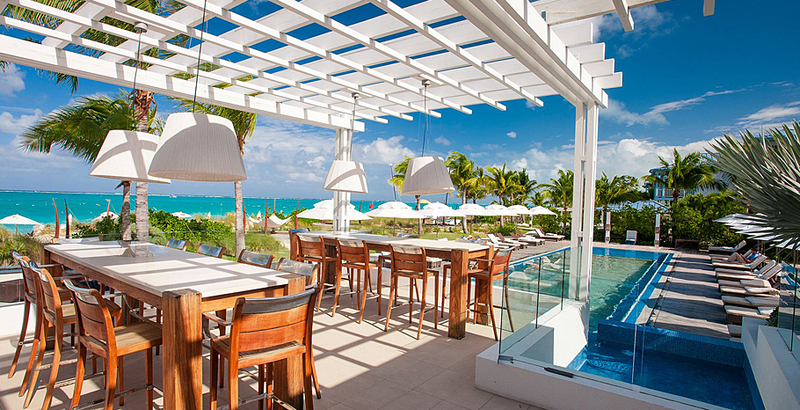 Bayside restaurant has a second-level lounge overlooking Grace Bay Beach. Pamper yourself with a visit to the resort’s spa, which offers massages, body treatments, and facials. If you’re looking for recreational opportunities, unlimited Scuba diving, snorkeling, kayaking, windsurfing, and paddle boarding are all included. Land sports include tennis, beach volleyball, croquet, and an onsite fitness center. Pirates Island Waterpark has a 650-foot lazy river, eight water slides, a zero-entry pool for younger kids, a surf simulator, and a kids-only swim-up bar serving sodas and ice cream. Pirates Island Waterpark has eight waterslides, including three huge slides for the adventurous. Fly into Providenciales International Airport, Turks & Caicos (PLS). The resort is on Grace Bay, about 15 minutes from the airport. Beaches provides complimentary round trip shuttle service. 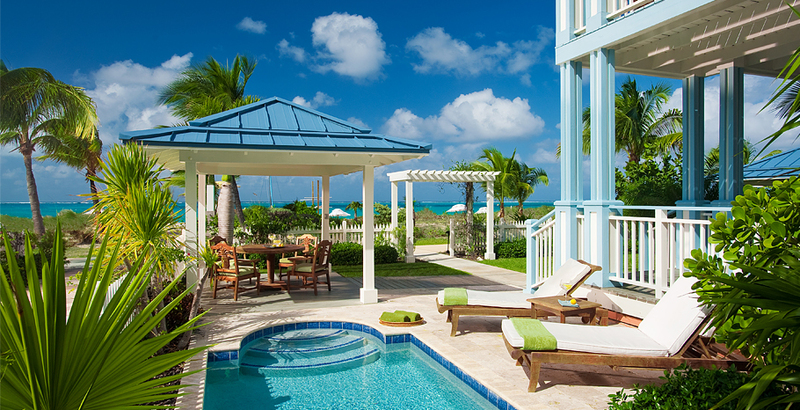 Check Beaches Turks & Caicos Resort’s website for more information.